The Workstation Connected Printer Agent is licensed per workstation it is purchased for, and enables tracking of locally attached printers, or direct IP printing. Workstation Connected Printer Agent installations are licensed to run on Windows Workstation. It is not licensed for any Microsoft Windows Server operating systems, including Microsoft Small Business and Windows Home Operating Systems. Maintenance is included and covers Upgrades/Updates and Phone support for 1 Year from date of purchase. Note: This option can not be used standalone, without an accompanied Print Manager Plus Workgroup, Single Server, or Enterprise Edition. 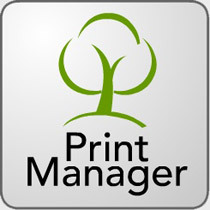 Note: Print Manager Plus Workgroup and Single Server Editions are limited to 100 agents. Over this amount can be used with only the Enterprise Edition.